Nutrition Response Testing® is a non-invasive system of analyzing the body to determine the underlying causes of illness and non-optimum health. Our clinically proven system may be quite different from any other healing practice you have experienced. It is not one based on masking symptoms through drugs or medication, but instead finding the underlying cause of the problem and helping the body heal itself. This is a different paradigm in healing and we believe this is healthcare as Mother Nature Intended. As the Doctor or Practitioner is using the Nutrition Response Testing®, she is testing your body’s neurological reflexes. These reflexes are the nervous system’s way of telling her what and how your organs and other body systems are doing because the nervous system regulates the body’s functions for each and every organ. The testing includes all organs, glands, joints, muscles, and the entire body. These reflexes are tested on the surface of the body and then the findings are analyzed to design your personal Total Health Restoration program will be designed. She will do the analysis by contacting your extended arm with one hand while contacting a specific reflex area with the other hand. If the tested reflex is stressed, your nervous system will respond by reducing energy to your extended arm and send it to the stressed organ or body part. This will cause your extended arm to weaken and drop. This indicates an underlying stress or other dysfunction in that area of your body, which may be adversely affecting your health. Once the underlying cause of the dysfunction is corrected using proper nutrition, the “weak” muscle response in your arm will no longer occur. Since we directly use your body and nervous system for analysis, it is faster and often more accurate than lab tests. Additionally, there are no huge, expensive machines, no drugs, surgery, nasty needles, or hefty lab fees to cover. The actual procedure is simple and direct, with your body providing all the information and feedback needed. 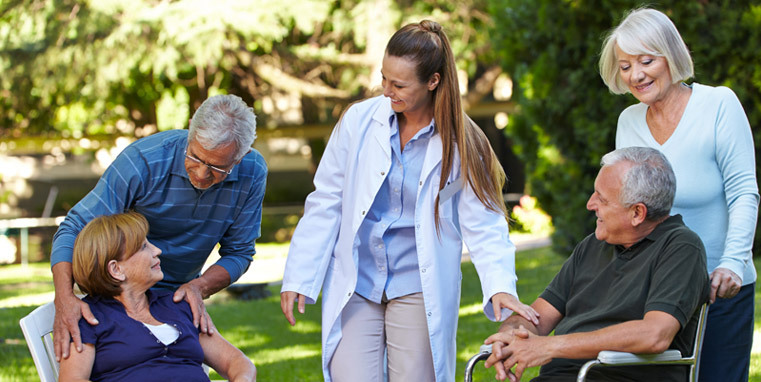 We use the extraordinary ability of the human cells and tissues to heal and improve your health, bringing about healing and health improvements bringing about a Total Health Restoration for you and your entire family. The body has the full potential to fully repair itself when given the correct nutrients. Your initial consultation is in two steps. The first part is an evaluation of your health history and symptoms plus Health Express analysis also called Heart Rate Variability (HRV) test and a determination of your potential to benefit from the program. The second part is a comprehensive health evaluation that includes food sensitivity, nutritional deficiency, chemical toxicity, immune system evaluation with Nutrition Response Testing ® and with a specific supplement recommendation and nutritional program to follow. chronic health problems. Often there are additional issues from chemical toxins to heavy metals, parasites, radiation, pollutants and other environmental health hazards. All of these things have created your current health condition. Therefore, the sooner and more thoroughly you get started on taking control of your health and get a nutritional program specifically created to fix your health issues, the faster you see results. Once you start your Total Health Restoration program, if you continue your poor dietary habits and don’t use self-discipline (and our guidance) to overcome the these, you may not improve as much as you’d hoped. 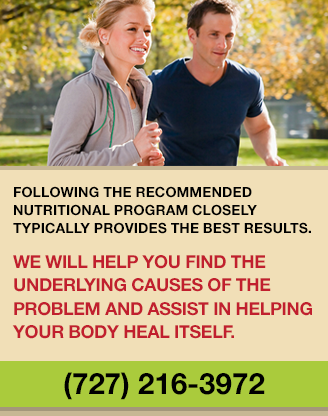 Full and dedicated commitment to the program is what will restore you to optimum health, vitality, and wellbeing. While you are on your own Total Health Restoration Program, you will go through several phases. The first phase is the “Fine Tuning” phase where your major health challenges are addressed and closely monitored weekly or every 2 weeks for your first 6 visits. During this time, your Designed Clinical Nutrition program will be tailored to handle your specific health conditions. After this initial 6-8 week period, you should see a definite improvement in your health and it is likely your visits will move to once every three to four weeks. This is called the “Healing and Observation” phase, during which time more healing should take place and additional pieces of your total health picture will be revealed and addressed. Many times after these initial 6- 12 visits a great deal of improvement has been made and you will see a significant reduction in negative symptoms and subsequent improvement in your overall health. If all is going well, you could be moved onto the “Maintenance Phase” where your visits will move out to monthly, bi-monthly or even quarterly. During this phase, your commitment will deepen as you will have experienced many significant health improvements. As your long-term health really begins to improve, you will want to stay well and achieve Total Health Restoration. That is the purpose of our office and what you will be working on as you continue on the Maintenance phase and take full responsibility for your own health.